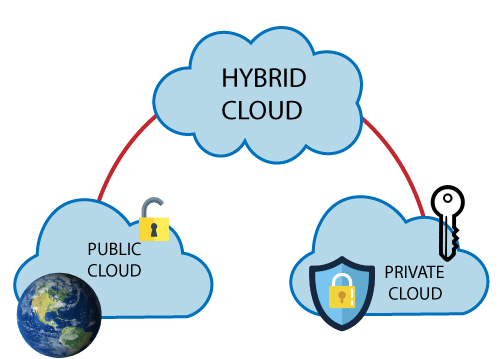 The Hybrid cloud is the mixture of public and private cloud. Non-critical activities are performed by public cloud while critical activities are performed by private cloud. It provides both the features of public and private cloud scalability. It provides secure resources because of private cloud and scalable resources because of public cloud. It is having less cost as compared to private cloud. Networking becomes complex because of private and public cloud. It is necessary to ensure that cloud services are compliant with the security policies of an organization.